Dine Out On Easter Sunday! Enjoy dinner out on Easter Sunday! Ceres Annual Easter Brunch is not to be missed! Seatings at 9:30 a.m., 11:30 a.m., and 1:30 p.m. There will be no jazz brunch on Easter Sunday. The Carmel Room serves a three-course special from 5 – 9 p.m. for $60 per person, plus tax. Includes appetizer, entrée, and dessert. Rampart Buffet provides an all-day-brunch served from 9 a.m. – 9 p.m. with breakfast items served until 3 p.m. for $19.99 with a Resort Rewards Card and $21.99 without. 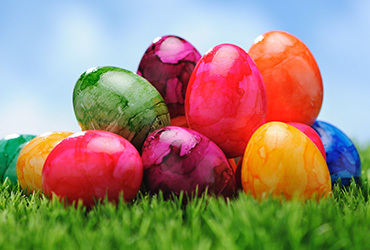 The Promenade Cafe serves a three-course Easter dinner from 11 a.m. – 9 p.m. for $15.99 per person, plus tax. Includes appetizer, entrée, and dessert.